Commercial office cleaning is one of our innovative cleaning services that caters directly to clients who have smaller commercial spaces that need regular cleaning. We specialize in scheduled cleaning for businesses and corporate offices of all sizes in North Houston, working with companies that prefer to outsource their cleaning. While the two are both cleaning services at their core, small office commercial cleaning focuses on small to medium-sized office buildings, or buildings used for commercial purposes. Residential or domestic cleaning focuses mainly on individual residences. Unlike residential cleaning, commercial cleaning uses a different array of cleaning procedures, green cleaners, and equipment for an efficient cleaning process across all the different industries and environments. Many of the tools that we use in small office cleaning are not used in typical residential cleaning. Additionally, commercial cleaning has to meet specific safety standards to keep our small office and commercial clients within health standards and avoid risking the well-being of those who work there. Residential or domestic cleaning services have no outright set standards and can set their standards provided they have the health and safety of their clients as a priority. Finally, commercial cleaning tasks happen mostly during off-peak hours or the weekend when the building or office is largely unoccupied. Below are some of the services included in our small office and commercial cleaning. Please note that services performed differ from office to office. 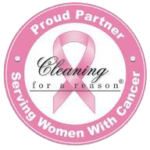 Maid-Zen offers commercial cleaning services in Kingwood, Atascocita, and Humble. We have a team of well-trained experts with experience in the industry so they can handle any small office job. We use advanced cleaning equipment and green cleaning procedures that guarantee the health and safety standards are met. For commercial cleaning in Kingwood, Maid-zen should be your number one choice. We have experienced and reliable technicians ready to deliver. Call us at (832)-229-1053 for a free quote.